So close yet a world away. Windermere Cay, the premiere luxury and 100% Smoke Free community is NOW OPEN! We are conveniently located on Reams Road, adjacent to Walt Disney World, just minutes from Orlando International airport, area theme parks, Winter Garden Village, Millenia Mall, and much more. Our four story buildings offer elevators, high-end details, finishes and an exclusive resident amenity package. 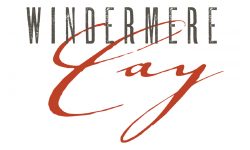 Windermere Cay wants to provide you a sense of place, extensive amenities and a rewarding lifestyle filled with friends and family, recreation and relaxation, comfort and convenience. Contact us to reserve your new home today.